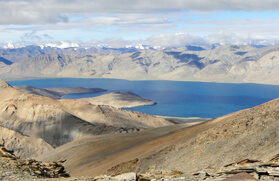 Ladakh, which is well known as the land of high altitude mountain passes, hosts several ancient trading routes that once connected India with Tibet. Over the years it influenced to bring forth the unique Indo - Tibetan culture and the region gained vigour with the traditional colours of Buddhism. Today the vast desolate terrain having peculiar topography is popular for its diorama of the footsteps of Buddhism. 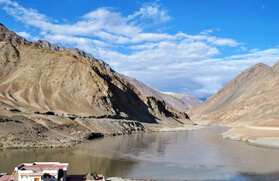 The Ladakh Monastery trek takes you to the avant-garde of Ladakh region where you can step into the ancient monasteries dating back to the 10th - 11th century. The traditional colours can be easily spotted from the prayer flags, chortens and numerous ancient manuscripts. 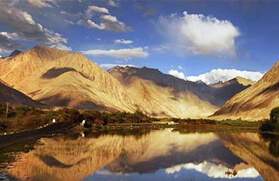 The Ladakh monastery trek pulls in several wanderers from different corner of the world to explore not only the barren and varied topography but also the remote villages inhabited by various Indo - Tibetan sects. The journey allows you to step into the Shey and Thiksey Monastery, Hemis Monastery, Lamayuru Monastery, Stok Palace, Wanla, Hinju, Sumdo Doksa, Prinkiti La, Konzke La, Sumda Choon, Lanak and Alchi Monastery. 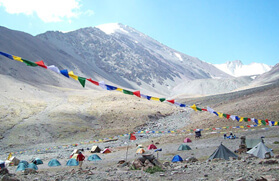 The Ladakh Monastery trekking tour commences from Leh and heads to Shey, Thikshey and Hemis monastery. 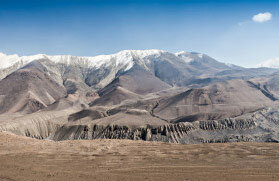 Thereafter, the tour wheels to Alchi monastery passing through villages like Nimu and Saspol. 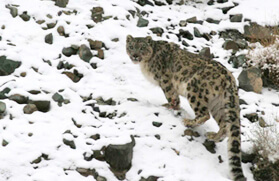 From Alchi, the Ladakh monastery trek heads to Lamayuru monastery at 3,510 meters, which is said to be the oldest monastery, being built in the 10th century. 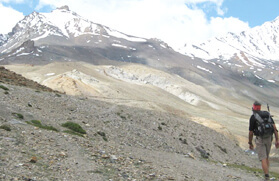 The Ladakh monastery trekking tour continues towards Wanla, which is approximately a 4 - 5 hours of drive from Leh. From Wanla the trek turns to Hinju at 3,720 meters and thereafter, passes through Kongskil La at 4,950 meters to Sumdo Doksa at 4,430 meters. After crossings a few rivers and the village of Sumdo Chenmo, the trail gradually ascends to the base of Dung Dung Chan La and snakes through the village of Chilling to finally end at Leh. Early morning flight to Leh, day free for rest and acclimatization. 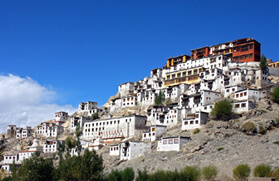 Travel by jeep to Lamayuru gompa, a site that abounds in myth and legend. Overnight stay in the village. Begin trek! 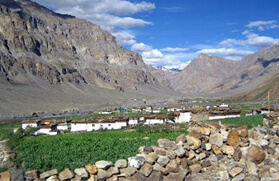 Cross the Prinkiti La (~3700 metres) to the village of Wanlah, where there is a beautiful ancient gompa. This will be the short trek for the day. Continue through awesome gorge country to pastures beyond the village of Hinju. Cross the 4900 metre Konzke La for a spectacular view before descending to pastures just above the village of Sumda Chenmo. 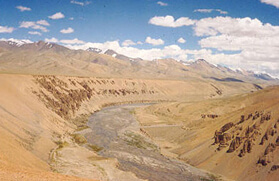 Pass through Sumda Chenmo, which actually has two gompas: One is active, while the other lies in ruins below the village. Camp in the valley near the river. Rest day, with an optional side trip to Sumda Choon, whose ancient and rarely visited gompa houses remarkable artistic treasures. Continue upwards to the beautiful meadow of Lanak. In the evenings, we have often spotted Bharal, the rare and elusive blue sheep, on the nearby cliffs. 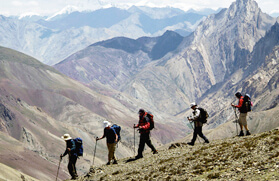 Today's climb to Dundunchen La (4800 metres) is strenuous, a stunning view encompassing the Stok and Zanskar ranges. 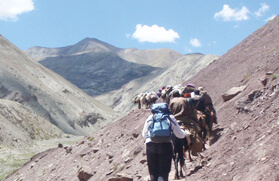 Finish our trek with a long descent into Chiling, before boarding the rafts on the Zanskar river. 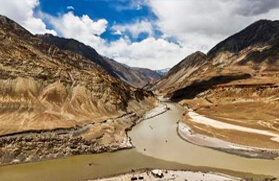 Ride the river to its confluence with the Indus at Nimu, then board jeeps for the trip to Alchi. Overnight at Alchi village. In Alchi, we tour the remarkably well-preserved 11th -century gompa and the famed frescoes within. In the afternoon, we return by jeep to Leh for a well-deserved rest. Morning flight to Delhi and short local sighseeing.